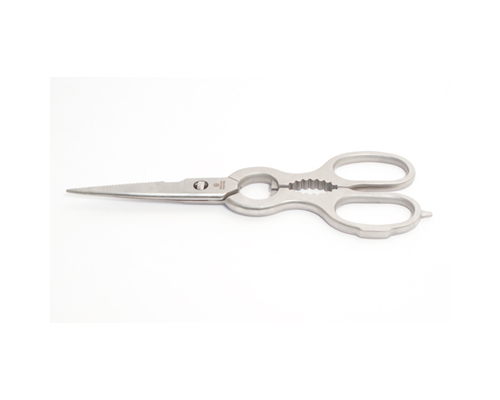 The Wusthof Forged Stainless Kitchen Shear are a time saver. One tool that can open boxes and bottles and then snip herbs or cut flowers. Essential for preparing a Spatchcock chicken, the Wusthof kitchen shears are a great tool for your kitchen. Forged of tempered high-carbon steel for exceptional strength. Doubles as a bottle opener, screw driver and jar opener.